Many articles on home renovation and design usually focus on properties that offer ample space. However, things that work for a house with a full lawn and vaulted ceilings may not work well with your typical condo or apartment. Though they might not carry the same hefty price tags as their more palatial counterparts, the visual enhancement of these smaller spaces is also important for property investors. This is especially true since demand for apartments in Australia continues to rise. Aesthetics is typically high on the priority list of potential home buyers and renters, even those shopping for smaller apartments or more humble homes. Since you’re already dealing with limited space, the smart thing to do is to improve your property’s looks while also keeping in mind proper space management and making it seem bigger than it really is. Below are several ideas that will help you do just that. The snug, cosy feeling smaller spaces create can be a selling point. Thick carpeting in a warm colour (red to yellow or earth tones) helps to accentuate this feeling. If the flooring is hardwood or laminate, good area rugs can be used instead. You might also consider a faux fireplace for your living room or bedrooms. Pre-fabricated electric fireplaces start at around $300. If you want a decorative non-electric fireplace design used to hold candles or logs, you can purchase a mantel for a bit less and DIY the rest using 2x4s. Warm-coloured orange lights at night also make a room feel cosy. Consider a couple of recessed lights mounted on the floor or low on a wall near the bed area. Suitable recessed LED lights are available for as low as $20 each. A small home all but guarantees a very small bathroom. One great technique for maximising space is to add vertical shelves all the way up the wall immediately adjacent to the toilet. This is a simple addition that only requires some inexpensive wood and L brackets. In most small bathrooms, there is a column of vertical space right next to the toilet that is used for nothing more than the toilet paper dispenser. Narrow shelves in this area serve a couple of purposes. One is to add storage for items such as towels and bath products, reducing clutter and making the space seem bigger. The other is as placement for decorative items that improve the bathroom’s overall appearance. Fragrant tropical plants such as plumeria or ylang-ylang are a particularly good idea as they do well with high humidity and indirect light and naturally improve the bathroom’s scent. Simple geometric patterns on walls are easy to DIY and don’t require any substantial artistic ability, yet they look great and help to redirect focus from the size of a room to its internal appearance. They also create a visually unique and interesting look that makes things less boring. There are many ideas that involve relatively simple patterns that can be measured out accurately. For example, you can use triangles, squares, or even octagons to create alternating multicoloured shapes, interlocking shapes, or abstract designs. 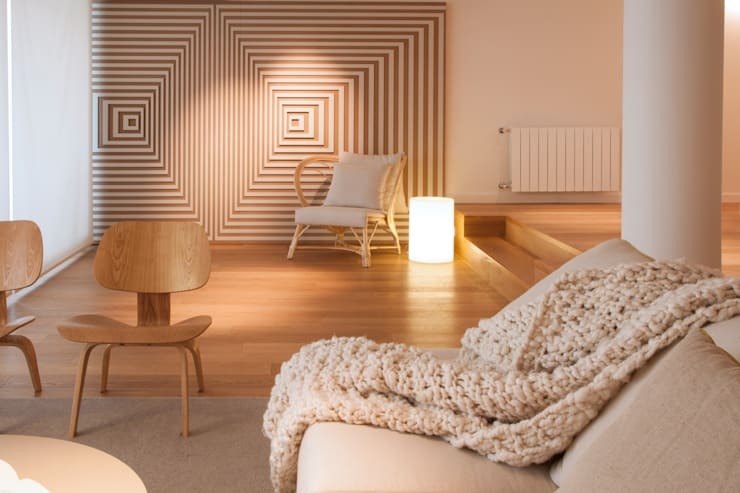 Painting these designs on the walls is the simplest approach, but you can also create them out of strips of wood, as in this interesting example that uses concentric squares to play with perspective. The more open floor space you have, the larger the room will look and feel. You could achieve this by using wall mounts for things such as your TV, shelving, lights, and media centres. And if you’re in an urban area, consider adding a wall-mounted bike rack, as it’s very possible that potential buyers or tenants are bike commuters or would like the option of getting around that way. This goes beyond looks however. The more exposed floor area you have, the more space available for you to walk around, further enhancing the feeling that the room is bigger than its dimensions. This setup also reduces clutter on the floor, which can be both distracting and off-putting. If your small house or apartment comes with a balcony, decorate it as well to make it more visually appealing and feel like a functional extension that makes the whole place seem bigger. You could put a small table and a couple of chairs and turn it into another spot where you can hang out with a friend. You could also go with plants, and we recommend using a small hanging planter with pockets for small plants which go for $15-20. The added hanging greenery makes the space feel more relaxed without adding any obstructions on the ground, so your feet has more area to walk on. We’ve written another blog on skyscaping should you need more tips on enhancing your apartment’s outdoor look. When it comes to property upgrades, it’s always wise to consider not just the appearance but also how you’ll be able to maximise space. Doing so will result in a property that looks better and has more useable area to offer—a recipe for more demand. If you need more insights or advice on property investment, our experts at Clever Finance Solutions are more than happy to lend you a hand. 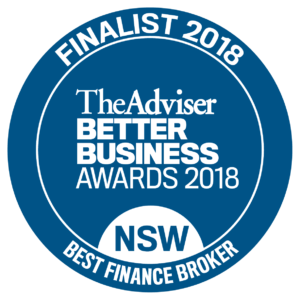 With our experience and expertise in helping clients, we’ll be able to guide you to making the right financial decisions, from choosing the right loan to making the most out of your investment property. Set an appointment with us today and know that we can help you.